I am a professor of individualized studies and sociology at NYU, where I also direct the Urban Democracy Lab. I work on themes of democracy, inequalities, and politics, particularly as they pertain to cities. Thank you for visiting my page. The Democratic City: Learning from the Global South and North. Book Project. Is one of the chants of the Indignados of Spain. 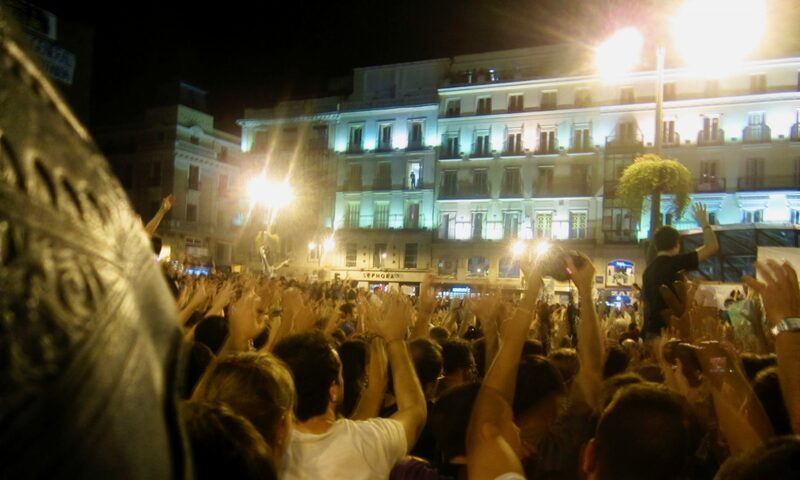 When you hear it, you are supposed to raise your hands up in the air, as in the picture above that I took during the October 15th 2011 demonstration in Madrid. I find it a very moving chant. Thank you for visiting my page. After a long time, I've decided to have a web presence again. You'll find here essays, syllabi, and interesting things related to sociology, broadly conceived. Of course: I am an associate professor of individualized studies and sociology at NYU, but the opinions etc. here are completely my own. This website is also not paid for by any university resources.